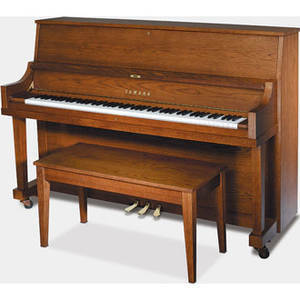 Ralph Thorn Pianos offers quality rebuilt pianos on a limited basis. Pianos for sale are completely rebuilt and usually refinished, and are very unique instruments. Since Ralph specializes in historic instruments the pianos tend to be early, ranging from the early 1800’s through to 1920. These uprights are unique quality instruments, totally restored to as-new condition. Very rare, a five-pedal version of the famous Wing and Son large upright in stunning French Walnut finish. For more information on this brand click here. Visit the website for this individual to follow the rebuilding process here. 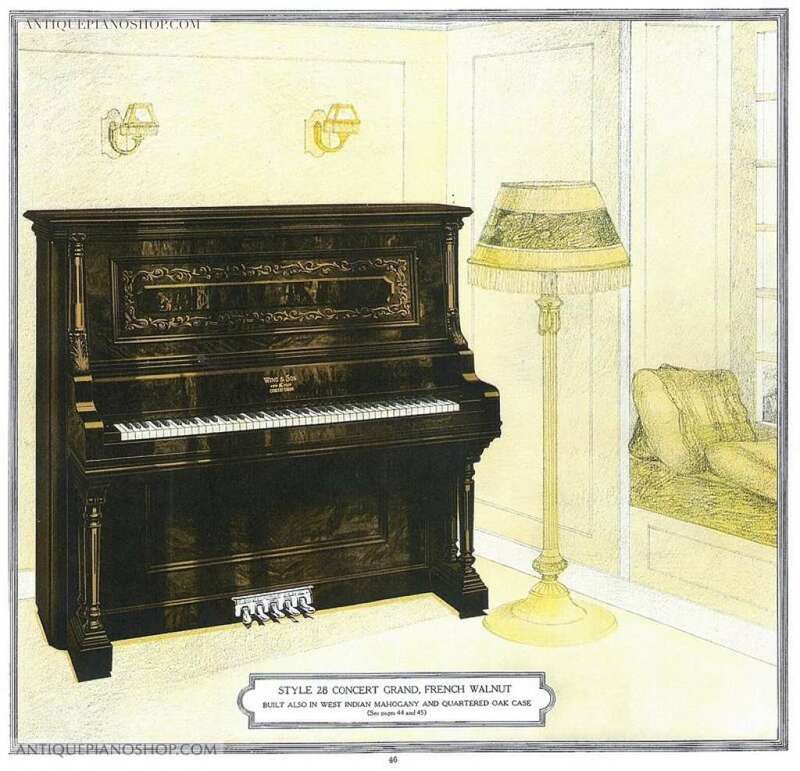 The school model piano, the modern ideal work-horse piano. Totally rebuilt with Yamaha parts. Finished in a medium walnut.